We can provide the solicitor certification and apostille for Commercial Invoices. 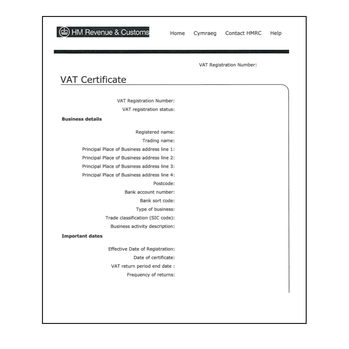 This document is needed when exporting goods overseas and is used to determine the value of the goods being shipped any tariffs due. 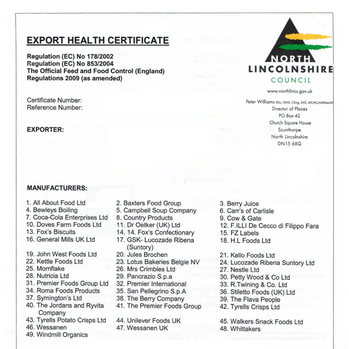 We also assist with legalising the documents that usually accompany the Commercial Invoice. 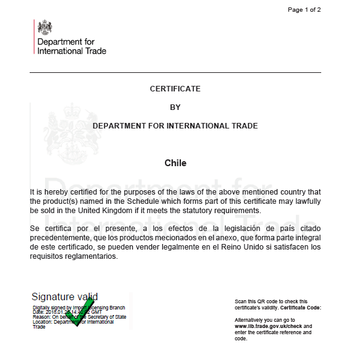 Our all-inclusive service will ensure your documents are correctly legalised with the apostille so that they will be accepted outside of the UK. For only £66 we arrange for your Commercial Invoice document to be solicitor certified and issued with the apostille. 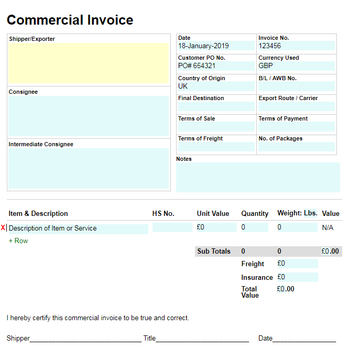 Commercial Invoices can be issued digitally and will usually be signed by the exporter. 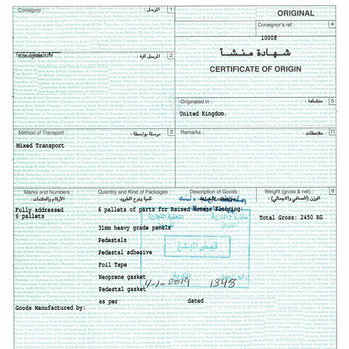 It is advisable to issue the apostille to the original ink signed document. How to order an apostille for a Commercial Invoice? Simply purchase the solicitor certification and apostille online and then post your document to us. Our fast and low-cost service means you can get on with preparing to export your goods while we take care of the legalisation service.